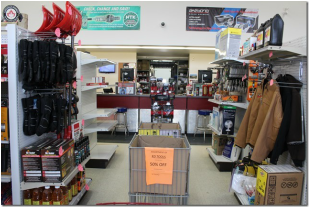 ​The Kiselbach family began the Big Block Auto & Farm Supply journey in 1972 under the name “Don’s Auto”. For 35 years Don, Olive and their son Brad ran the business on 4th Street East in Stonewall Manitoba. 2007 brought an ownership and name change when Brian Drad purchased the business from the Kiselbachs. In 2013 Brian’s vision of a new building and storefront became reality when construction of the current location at 207-2nd Ave N, Stonewall, MB was completed. Nov 1, 2018 brought another big change to the business when Alan and Gail Hiebert became owners, allowing Brian to enjoy retirement with his wife Nancy, and their family. 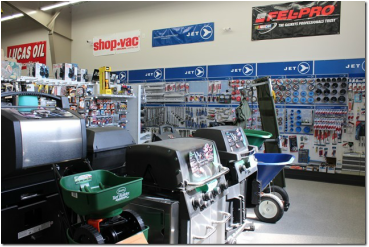 We continue to be your place to shop for all your autoparts and agricultural needs – offering supply runs twice daily coming from Winnipeg, and the same dedicated, friendly staff you all know and trust. Come down and visit us! Explore the store and enjoy some popcorn! Store hours are Monday to Friday 8:00am to 6:30pm, Saturday 9:00am to 5:00pm, and Sunday 12:00pm to 4:00pm. We look forward to meeting you all!